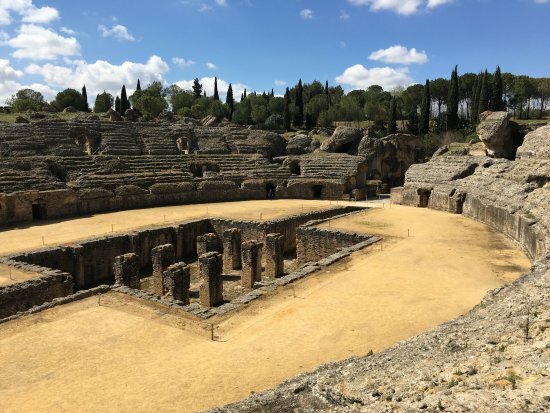 Discover the Roman ruins from Italica under guidance of a professional guide and get acquainted with the villages and traditions from Camas and Santiponce. In this old Roman city, the emperors Trajanus and Hadrianus were born. Your guide will tell you everything about the history of one of the biggest amphitheaters of the world. You also get acquainted with the history of bullfighting in the city of Camas. During this bike tour you can also choose for a typical Andalusian lunch (not included with the tour).